After my participation to the Csvn tournament, the gsei community kindly asked me an interview to share my experience. The original article is available in Italian on the gsei site under the name AdaChess al Csvn. Here I’ll propose a (rough) translation for non native speakers! 1) Hi Alessandro, how are you? Hi, everything’s fine. I’m drinking a cup of coffee while outside is raining! 2) You are living in Germany since a while, how’s going there? I live in Germany since two years. I live in Oldenburg. I am happy: the city, the people, the job and the free time matches perfectly. The quality of life is definitely satisfying! Of course, more than one. Some aspects are common to all of us: who has never fought against an hidden bug, hard to find and reproduce? Then there are other aspects like the code optimization and the complexity of the algorithms. It is a real challenge! 4) What do you do in your free time, when you don’t develop your engine? My greatest passion is dancing. I am a certified dancer and instructor for Cuban Salsa and I’ve recently started to teach even here in Oldenburg. We are a small community, we have fun and we enjoy it! 5) How was the Csvn? AdaChess had no chances at all. Between AdaChess and the other engines there is an abyss. 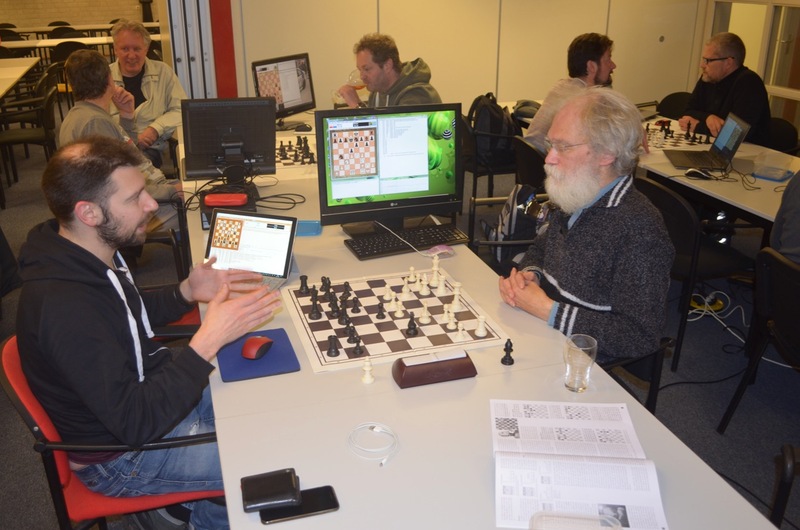 However, those tournaments are not competitive-based and it was a nice chance to meet our “colleagues” with whom we talked about chess programming. We spent a pleasant weekend. Therefore, yes, it was a good idea to take part on it. I’m already planning to do it again next year – this time with a super strong engine! 6) What do you think about computer chess in 10 years’ time? Well, in computer science talking about 10 years means ages. Nowadays chess programs – their author – are focused with a great interest on machine learning – by talking in general concepts. I believe that this is a kind of new era for chess engines that it worth to be investigated. I am totally fascinating! However, the algorithms behind machine learning are complex and not everybody can achieve them easily – I can’t as well. This is what I believe will be the topic that will grab the attention for a while and I am curious to see some matches between “brute-force” vs. “machine learning” based engines. 7) How do you see yourself in 10 years’ time? Well, listen.. if I continue in the same way that I am doing, then I won’t have any white hair! 8) What do you think about Artificial Intelligence? A.I. is going to change the world in the same way that computers did and the internet did after them. This change should be accepted with enthusiasm and without any fear. Applications have an incredible potential: from transport to medicine, from marketing to psychology. This change cannot be avoided and I am confident that it will significantly increase the quality of life. However, as it happens when a new technology appear, many jobs will become outdated and many person will lose their job. On the other side, many more new position will be open but they will require skilled people. 9) Which advice would you give to new chess programmers? A chess engine is a complex program, therefore I suggest to start with simple goals, easy to achieve. The programming language to be used should be the one that is best known. Then, it is a good idea to spend some time by reading documentations regarding “how to develop” a chess program. There are many tutorials on the internet and in forums every question will be answered. The first engine will be probably weak and it will play bad chess. But no worry! It will be very fun and, thanks to the experience and the knowledge obtained during this training, soon or later a cool engine will come out! Many engines are the result of years and years of experience of programmers who “failed” in the past. I started with a tutorial called LaMoSca, that is an Italian famous tutorial written by Valocchi (a big hug and thanks for his job) and once I got the point I restarted everything from a blank page. Now I have AdaChess. 10) Greetings from gsei and we wish you a good luck for all of your projects! Thanks! A big hug to the community! It’s a pleasure to be part of this community!